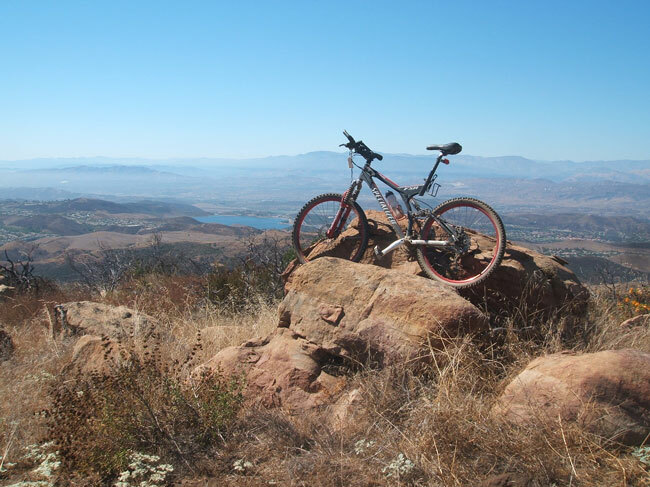 This afternoon I went mountain biking up Palo Comado and China Flat and Simi Peak, and I ended up with the view of the world looking out over Simi Valley and Camarillo and Oxnard and the Pacific Ocean. It was 102º and not an easy trail, I definitely had to work, but how great was it, with U2 accompanying, out there all by myself, to be rewarded with such a view. I may do it again tomorrow!